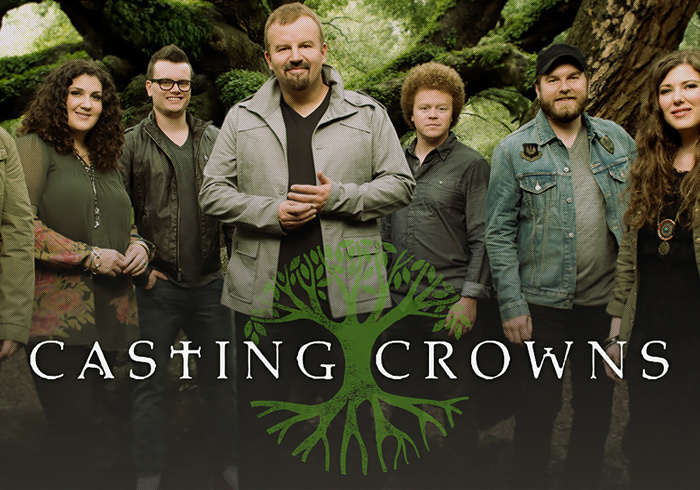 Casting Crowns is an award-winning Christian rock band. The site design is heavily influenced by their album artwork for "Thrive". As it happens, I had just visited Cumberland Island, GA a few weeks before this site redesign came about, which I found later to be the location of the band's album photo shoot when I received their photo assets. Cumberland Island is a beautiful place with lots of moss-filled ancient trees. 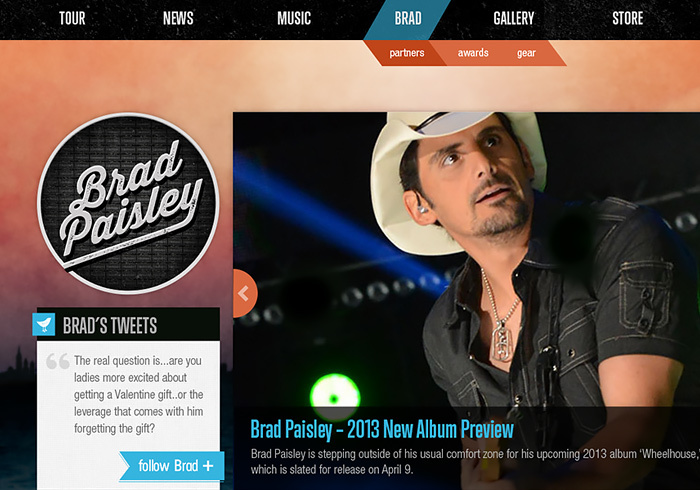 Over the past seven years I've gotten to work on four different site iterations for Brad Paisley. The artist wanted this design to reflect the cool artwork that the folks at Sony Records had put together for the album "Wheelhouse". 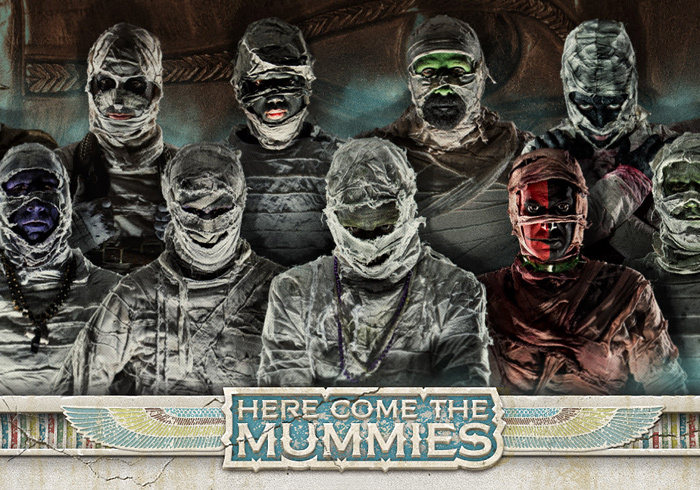 Here Come The Mummies is a groovy Funk/R&B band consisting of incredible musicians, best known for their tongue-in-cheek lyrics and energetic live performances where each member has an Egyptian mummy persona and costume. Needless to say this was a fun site to work on! For their 2013 album release, Cryptic, they wanted to convey a slight stylistic departure from their usual cartoon-ish style to one using imagery that's slightly darker and scarier. To start with, I designed a new logo that was a departure from their previous horror film style lettering. 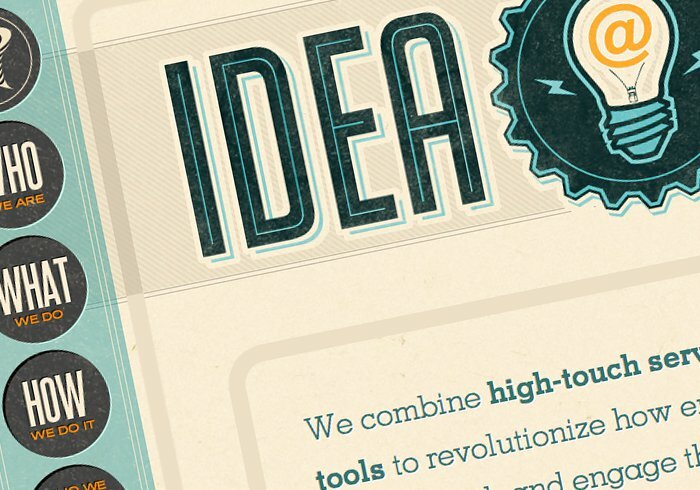 Idea Den (now known as MasterChannel) is a company based in Nashville, TN for which I was Creative Director/Senior Designer for four and a half years. The company specializes in providing sites and merchandising services for music entertainment with its Drupal-based site platform called Fan Torrent. Relativity Music Group, a division of Relativity Media, handles the soundtracks that accompany the films that its parent company produces. 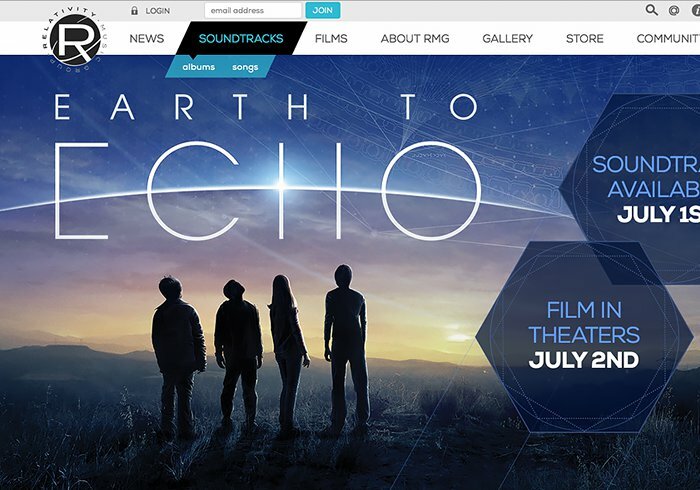 The goal of the site was to increase its online presence and awareness for their soundtracks and to provide a market for their movie merchandise. 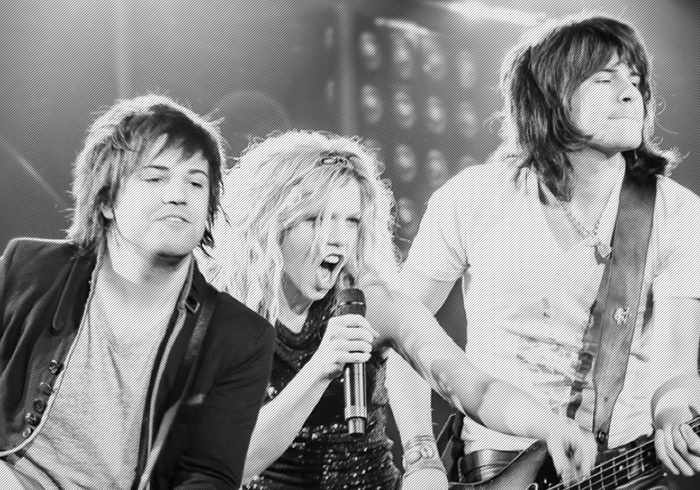 R5 is an popular American pop rock band whose demographic largely consists of young teens. 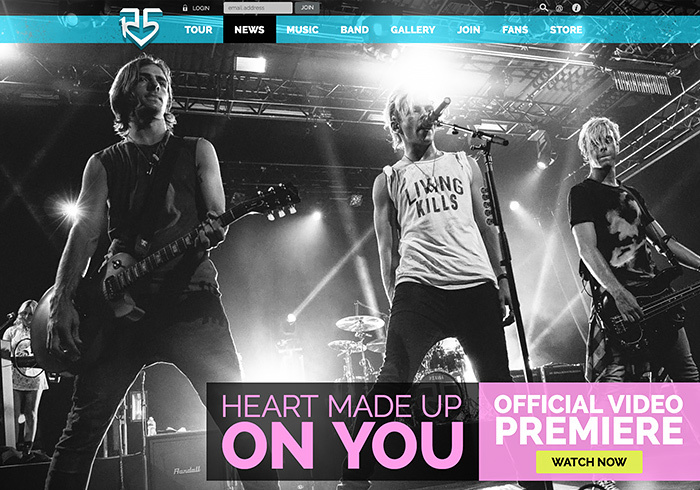 This design is a redesign of the first site we built for them, which had a very clean-cut youthful feel, and was based around the style of their first album, Louder. For the redesign, the band wanted something more rock, less bubblegum, with grit to reflect their maturity as songwriters and their age. To achieve this I added textures and used all black and white photos with just few color accents in site elements. 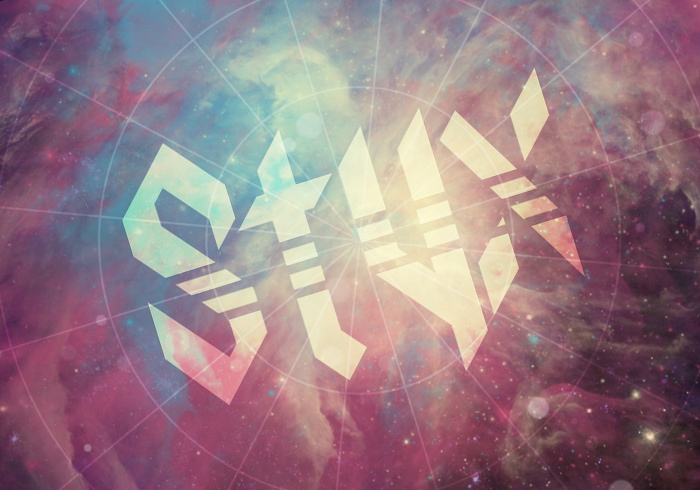 Styx is an American rock band from Chicago that is best known for melding the style of pop rock with the power of hard-rock guitar, strong ballads and elements of international musical theater. The idea for the site design was to provide a sort of timeless backdrop for a timeless band, still going strong today but rooted in its decades of classic music. 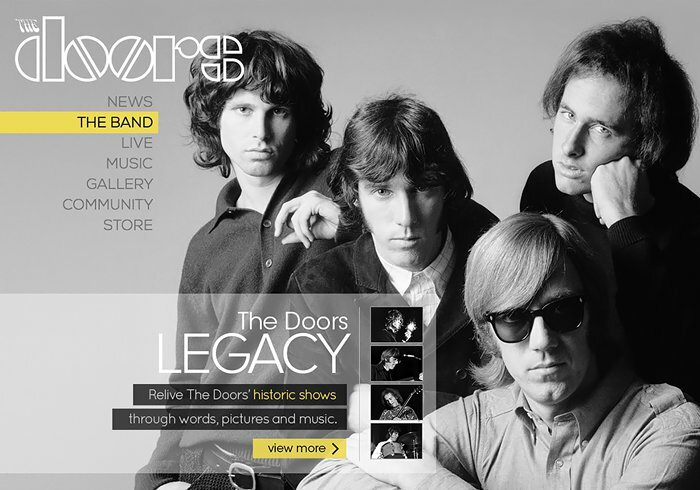 The client who manages The Doors' properties, Jampol Inc., was looking for a balance – to remain faithful to the legacy of this legendary band while modernizing its appeal for all ages. The solution was to use a clean, uncluttered design approach while letting the beauty of the photography give it historic context. 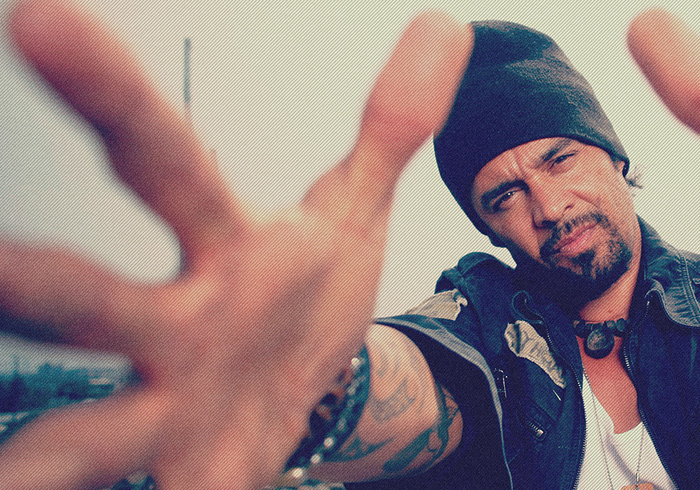 The result was a responsive site, rich in history and content, befitting a music icon.